Intersec, the world’s largest trade and networking event for security, safety and fire protection, is set to celebrate two decades of remarkable success when it opens its doors in January 2018 in Dubai. The 20th anniversary edition will feature more than 1,300 exhibitors from 58 countries, while over 31,000 visitors from 128 countries are expected to attend as they seek the latest solutions across seven show sections of Commercial Security, Fire and Rescue, Safety and Health, Homeland Security and Policing, Perimeter and Physical Security, Cyber Security, and Smart Home and Building Automation. Occupying 60,000sqm across 13 halls and with 10 per cent extra space at the Dubai International Convention and Exhibition Centre, Intersec 2018 has added a new Drones Pavilion and indoor Drone Zone, while a Wearable Security Pavilion will put the spotlight on advanced textiles including head-up displays, body cameras, embedded sensors, exo-skeleton communications and more. “From the beginning, Intersec has paved the way for leading safety and security providers to access regional markets and has facilitated many of the beneficial partnerships and relations forged over the years. By continuing to prioritise the showcasing of the cutting edge new developments and the latest technologies, we hope to continue to play a constructive role in making the region a safer and more secure place,” Pauwels added. The commercial security market too has witnessed an upswing throughout the region creating opportunities for suppliers of video surveillance, access control and intrusion detection. Valued at US$1.93 billion in 2015, the market is expected to grow at a CAGR (2016- 2021) of 17 percent, reaching US$4.82 billion by 2021, says F&S. Meanwhile, the Middle East fire safety market is expected to be worth US$4.4 billion by 2021, growing at a CAGR of 12.4 percent between 2016 and 2021. 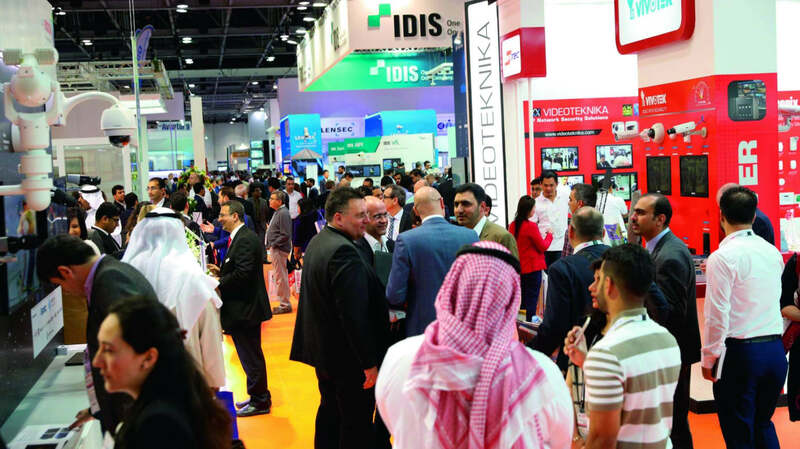 With more than 580 exhibitors, Commercial Security is the largest section at Intersec 2018, with more than two-thirds of the world’s top 50 security solutions players on board. Fire and Rescue is the next largest section. Safety and Health, and Homeland Security and Policing (both with 100 exhibitors), and Perimeter and Physical Security, Cyber Security, Smart Home and Building Automation (with 50 exhibitors each) wrap up the dedicated show sections. Returning features include the Safety Design in Buildings Pavilion in the Fire and Rescue section, as well as an Outdoor Demonstration Zone of the latest fire rescue applications in action. A comprehensive three-day conference programme will also discuss and analyse new developments, innovations, legislation and changing paradigms within the Middle East safety and security industry. Intersec 2018 is held under the patronage of His Highness Sheikh Mansoor bin Mohammed bin Rashid Al Maktoum, and supported by the Dubai Police, Dubai Civil Defence, the Dubai Police Academy, and the Dubai Municipality. To view the 2018 showguide, please click here.